These are beautiful sterling silver Irish Celtic knot earrings. They have beautiful sparkling emerald green Swarovski crystals. 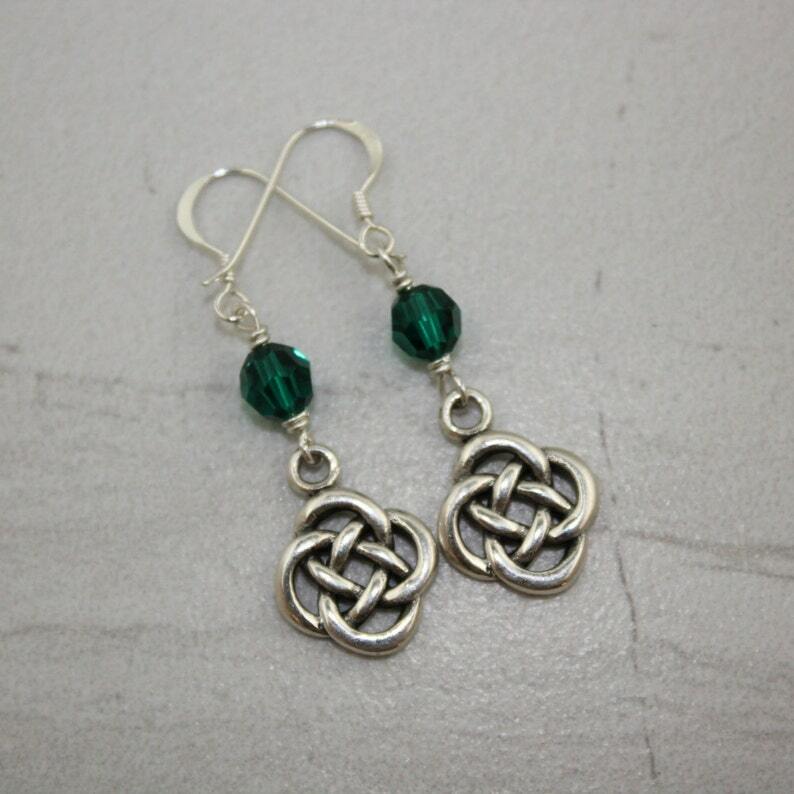 The earrings are 1" in length and are made with all sterling silver components. The French wires are also sterling silver. Beautiful for Irish Wedding Parties and of course for Saint Patrick's Day!